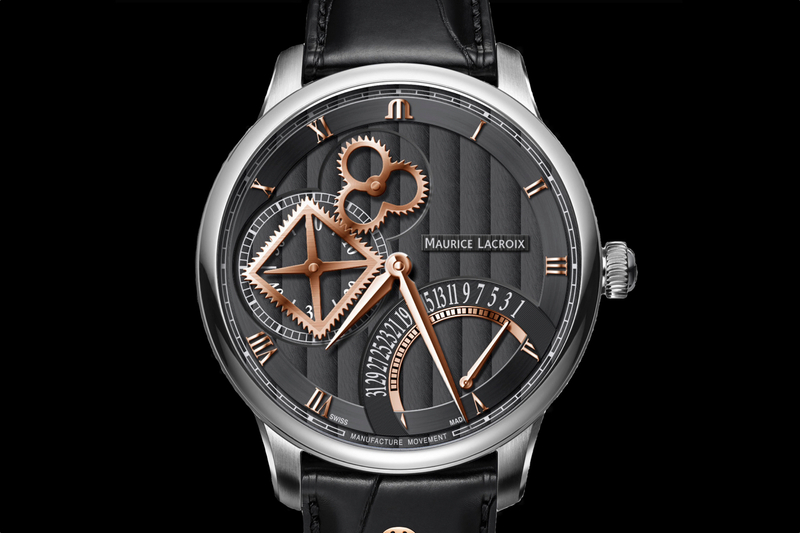 At Baselworld 2018, which began earlier today, Swiss watchmaker Maurice Lacroix introduced the Masterpiece Retrograde Square Wheel which is similar to the existing Masterpiece Square Wheel but with Roman numeral hour markers instead of indices, a retrograde calendar in place of a power reserve indicator, and with the signature square wheel moved from 6 to 9 o’clock. This newer dial layout is arguably better looking and more balanced than past versions of the Square Wheel, although functionally I would still rather have a power reserve indicator in place of the calendar. But it’s a retrograde! As long as the watch is running, the square wheel (small seconds) turns on the dial, meshing with a cloverleaf wheel, both rotating continuously. An automatic 4Hz in-house movement, caliber ML 258, powers hours, minutes, small seconds (square and cloverleaf wheels), and the retrograde calendar (instantly jumps back to zero at end of each month). Available in a 43 mm x 15 mm stainless steel case with either a silver sandblasted dial with blued hands, wheels, and markers or a dark gray Côtes de Genève dial with red gold hands, wheels, and markers. The contrast between the surfaces on the sandblasted silver dial, the frosted chapter rings, and the Clous de Paris in the center of the subdials, is particularly attractive. While the look is surely improved over previous iterations, and the movement is in-house made with distinctive finishes, the 36-hour power reserve is far from impressive. 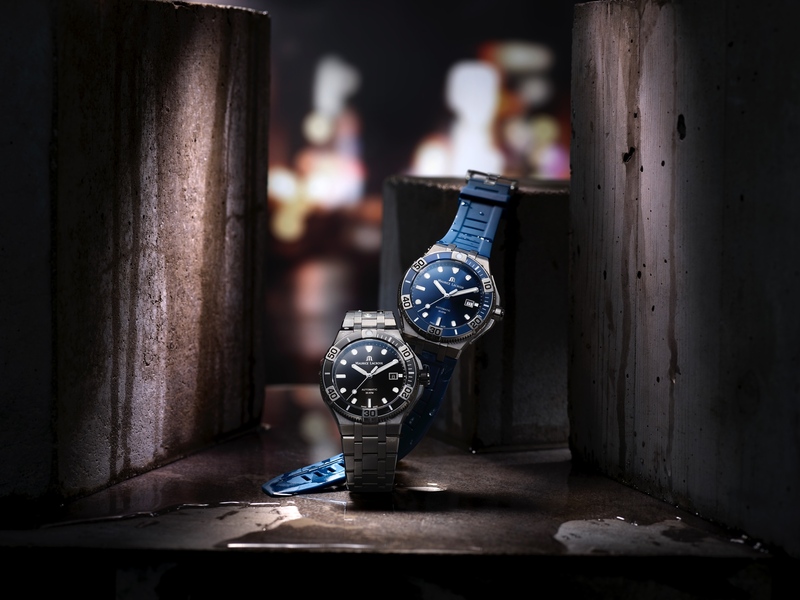 Water-resistance is 100 meters. 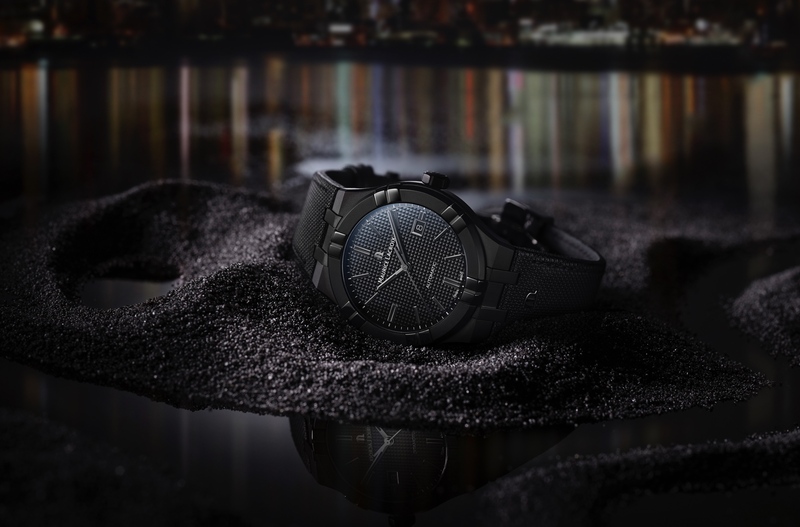 This watch comes with a black alligator strap with Maurice Lacroix’s “Easychange” strap system, which allows for quick swapping of straps. Retail is $7,490. 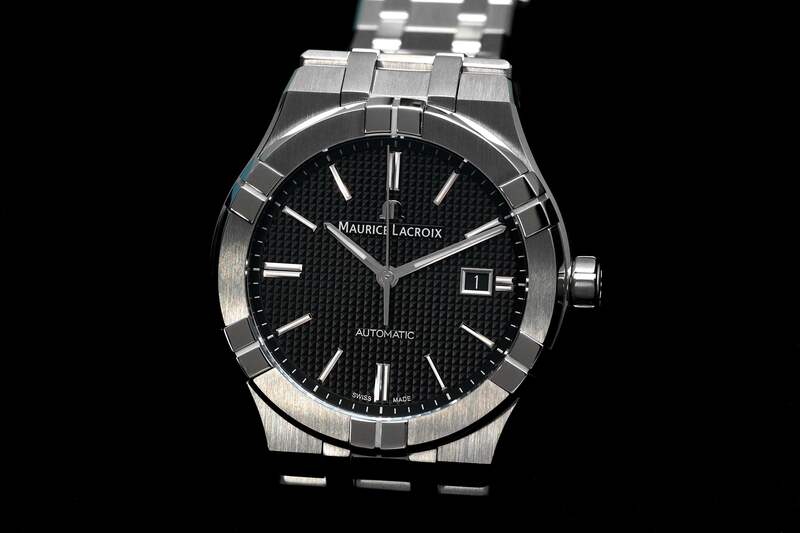 Learn more at Maurice Lacroix.